Looking for top tips on how to make your next career move more sustainable? Here are the key pointers from a workshop I organized at Nyenrode University. 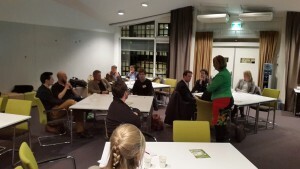 The workshop was expertly led by Annick Schmeddes, founder of sustainable career agency Sustainable Talent. Research shows that less than 2% of vacancies have a link to sustainability, but many more jobs provide ample opportunity to deliver a positive contribution to a better world. You don’t need a business card with sustainability in the job title to have impact. From your current role, it’s likely that you can contribute to a sustainability project, or you can start your own, preferably one close to the core business. 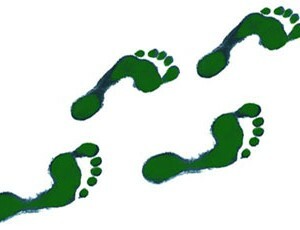 This way you position sustainability – and yourself – in a positive way! Research: What’s happening on those topics? What visions prevail? What is your vision on those topics? Pitch: How will you use your knowledge, expertise and experience to solve the problem? Position: Which organisations share your passion for this sustainability topic? Or which ones should really take this up? Can you start by doing something around this topic within your current organisation? Two people working in sustainability roles shared the ups and downs in their careers. 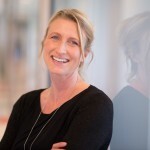 Andrea van de Graaf has a real sustainability-centric career. She joined Greenpeace as a receptionist while studying communications, and has worked in sustainability organizations and roles since. She now heads up a solar energy company and a sustainable investment fund. Berend Schols started out as an anesthesiologist, yet gave up the security of the medical field to explore what role he could take to make the world a better place. 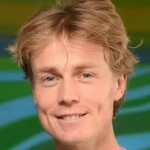 He now consults companies on the circular economy, blue economy and biomimicry. If you’re really keen to join another organization to fulfill your sustainable career step, networking is key. An estimated 60% of vacancies are filled through informal channels, but for sustainable jobs, that percentage is estimated as high as 90%! So connect with like-minded people at events near you and pitch your own sustainable story. 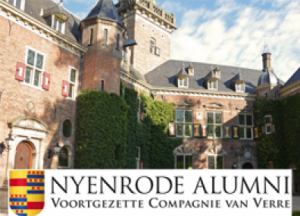 If you’re based in the Netherlands, you’re welcome to join the Nyenrode alumni events about sustainability (even if you’re not an alum). If you comment on this post, I’ll have your email address (but it won’t be visible to others) to add you to the mailing list. The events take place three to four times a year, usually on Nyenrode’s beautiful campus.